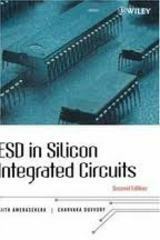 This book provides an understanding of the basic features related to ESD and deals with topics ranging from the physics of devices operating under ESD conditions to approaches for solving and improving ESD performance in advanced ICs. Topics include: Reproduction of ESD-type events in the lab, analysis of semiconductor devices, detailed study of design and layout, case studies of ESD problem solving. This practical guide is written from an industrial perspective and will appeal to engineers and scientists working in the field of IC and transistor design, as well as researchers and advanced students in the fields of device/circuit modeling and semiconductor reliability.